Sales Executive Jobs in India Infoline | Walkin Drive 19th and 20th May 2017. India Infoline is inviting applications from graduate freshers. Job seekers who are interested in attending India Infoline Recruitment 2017 must have good Technical knowledge and Fluency in English & Tamil. Aspirants will have responsible for developing the relationship with Business partners in order to generate good Revenue and AchievingTargets. Here we are providing the valid details which will be helpful for the applicants. Qualified and eligible candidates can attend walkin drive in Chennai which is Organized by India Infoline Company. If you are interested in working with our organization then you can attend the walk in interview as mentioned below. The selection of the candidates will be done on the basis of their performance in the walk in interview. So candidates have to start their preparation by checking out India Infoline Interview Questions and India Infoline Test Patterns. For other IT Jobs and Placement Papers, candidates are welcomed to go through our site All India Jobs for more Official Stuff. This is with reference to the vacancy that we have for Sales Executive. We have given below all the details. Shall be responsible for developing the relationship with Business partners to sell Commercial Vehicle Loans. Shall be responsible for sourcing, servicing, and disbursing the business. Creation of relationships (with Business partners, Dealers, and client) and ensure new business. Shall be responsible for Revenue generation process & Target achieving. IIFL Holdings Limited is the apex holding company of the entire IIFL Group. It was promoted by first generation entrepreneurs. Formerly known as India Infoline Limited, IIFL offers a gamut of services including financing, broking, institutional equities, financial product distribution, wealth and asset management, investment banking, realty services through its various subsidiaries. 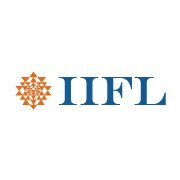 IIFL Holdings with a consolidated net worth of Rs.28,248 million as at half-year ended September 30, 2015. It has the global presence with offices in London, Hong Kong, Houston, Geneva, New York, Dubai, Singapore, and Mauritius. Job seekers who are interested in attending India Infoline Walkin drive which will be held in Chennai on 19th and 20th May 2017 can read this entire post for accurate information. Candidates have to check the details before going to the venue. For any other doubts, it is highly appreciable if candidates check Official notification. Land Mark: Behind Big bazaar Super Market, Pondy Bazaar & Opp to Pazhamudhir Cholai.